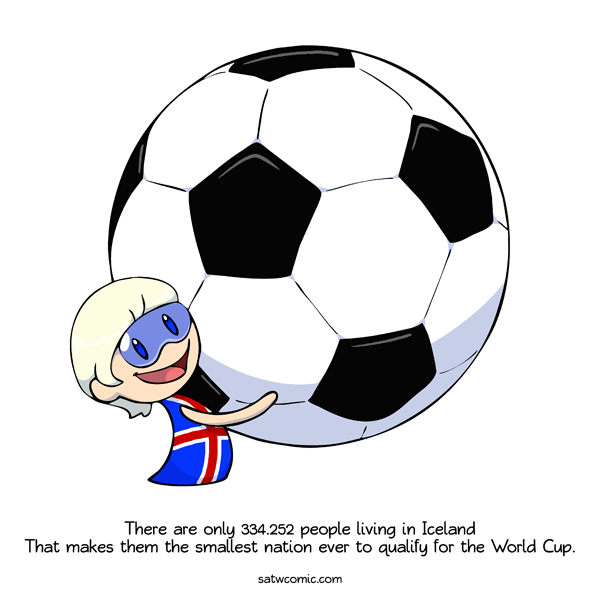 Iceland has the highest number of almost everything per capita because they're so few people. Now they'll have the highest number of people who qualified for the World Cup too. May the power granted by the ancient blood of towering tall vikings of testosterone and glory that runs within you guide you to victory. It's not the size of the population, it's how you use it. Old and not fully valid anymore, but still funny. It's good to see Iceland finally come to terms with his small "population". 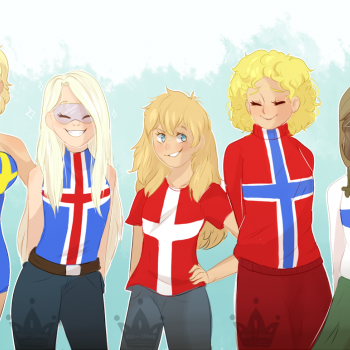 Aww, I was hoping for Iceland to be standing on the world cup with Denmark and Sweden hanging on for dear life, the Faeroe Islands Abseiling down as they know they have zero hope of ever qualifying and Finland and Norway in freefall (as Norway did beat runners up Northern Ireland once and Finland did beat Iceland once....). 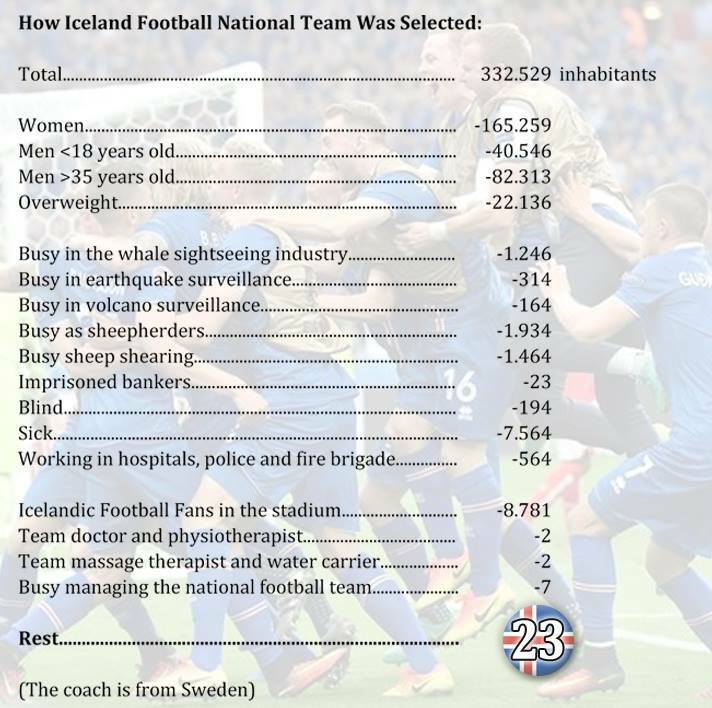 Congratulations Iceland! Couldn't happen to a more awesome country. We here in 'Murrica are too busy pouting because we didn't get in this time, and whining because our Handegg players are kneeling down during our national anthem to (rightly) protest endemic racism. Not that it'll matter very long. I fully expect us to instigate World War III soon. Hey Iceland? Can I come and live at your house? @Tarmaque And I’m just here, in South Korea, like AHHH WE’RE ALL GONNA DIE SOMEONE’S GONNA BOMB US!! @Jennifer_Pevensie I for one apologize for the actions of my President and his supporters, who do not represent the majority of US citizens. I'd offer to let you come stay with me, except I happen to live within the theoretical limit of some of NK's ballistic missiles. Perhaps you wouldn't want to be here? And, you don’t have to apologize, there are stupid people all around the world. As some Koreans say: The world is wide and there are lots of idiots. @Jennifer_Pevensie I'm rather fond of the Faroe Islands, but for real safety I'm sort of considering the Falkland Islands. A long way from anywhere of course, which is a good thing. Of course there's the ever-present threat of being invaded by Argentina.